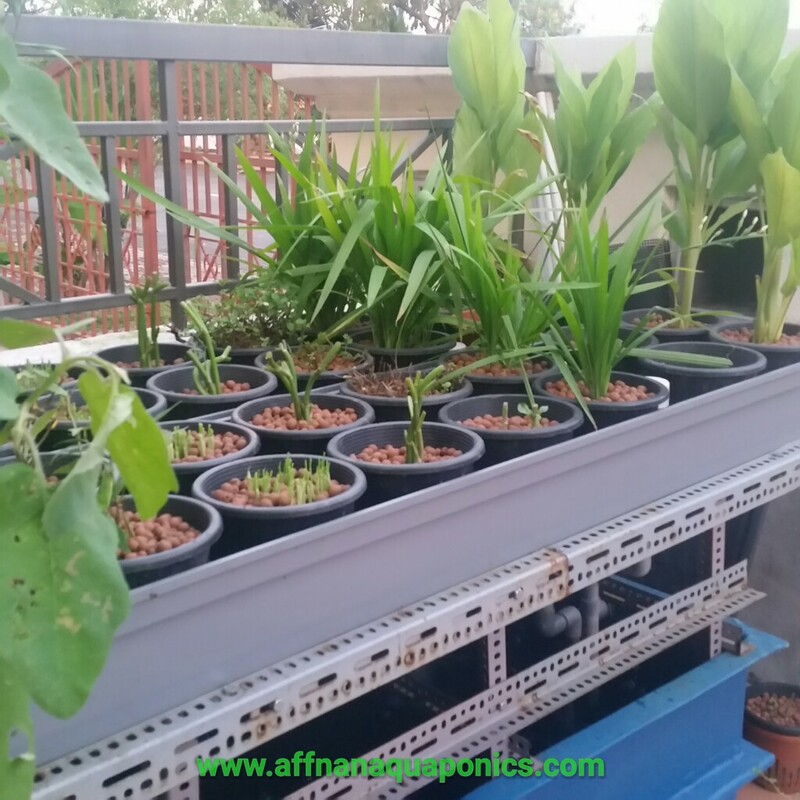 Affnan's Aquaponics: Evolution Of The Media Base Flood & Drain Gutter Growbed. 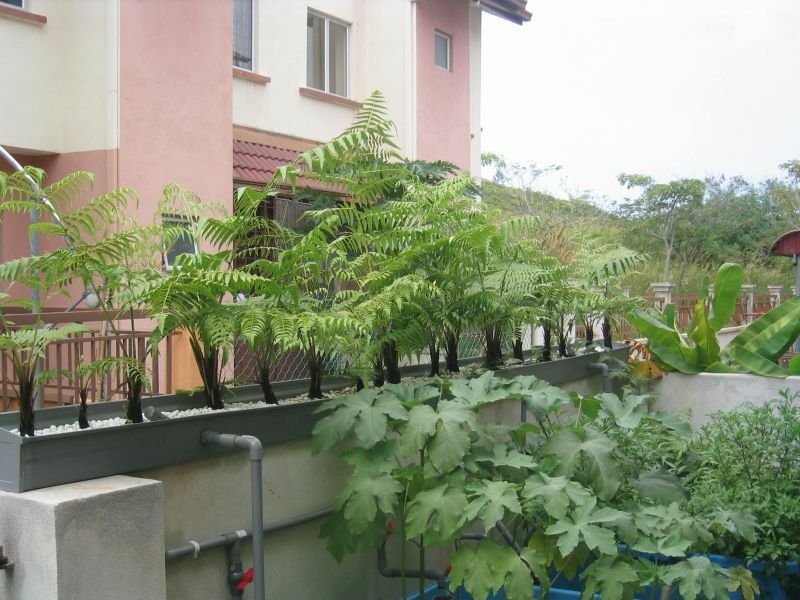 Evolution Of The Media Base Flood & Drain Gutter Growbed. My ongoing quest for cheaper and easier Aquaponics set are finally coming to an end. The traditional Flood & Drain Media Base Growbed has to go. It has been more that eight years since I started Aquaponics, initially using pebbles or stones chip then to hydroton. 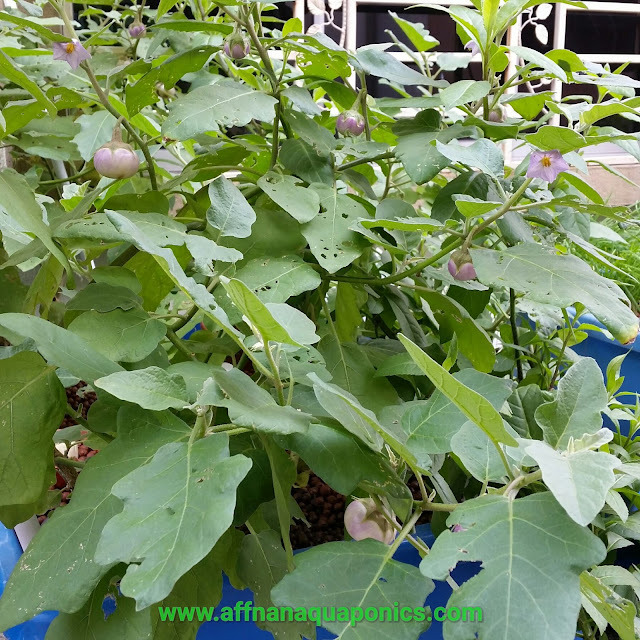 The traditional media base works, it does has its pros and cons as any other type of system in Aquaponics but the one that really hamper the progress of Aquaponics in this part of the world is the cost of setting up a system. 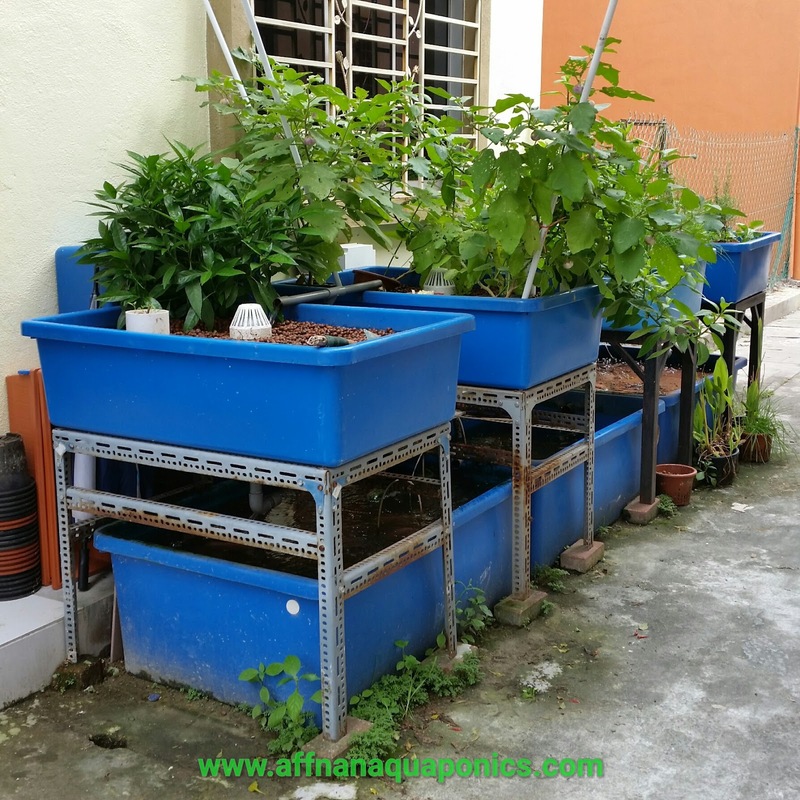 Traditional growbed are relatively expensive to setup due to the volume of LECA needed. To do large scale is almost impossible due to this. It is not so straight forward that we can design a system and walla.. it works and at the same time reduce the cost of setting up. It takes time to test and test.. and systems evolves from these trials. I specialize in media base flood and drain using siphon and I try my best to make a system using this technique cheaper and easier to construct. 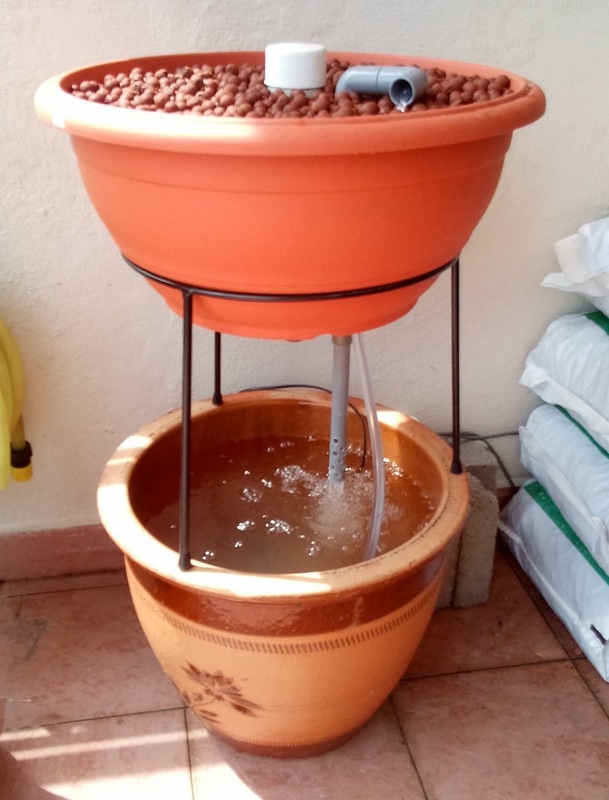 I started experiment with mini growbed system few years back when I made the single barrel set to see how well a smaller siphon control the water flow in a growbed. As with siphon, the smaller it is the more difficult to get right due to very small tolerances it has to work upon. The barrel set above uses my midi siphon, a medium size standpipe of 20 mm, it does work but not good enough to make it a cheaper setup. It still requires lots of LECA and only the size is smaller. 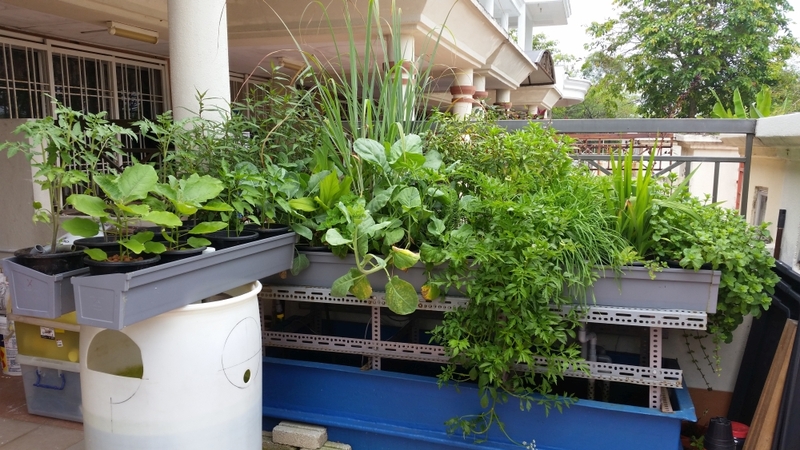 I had to make something that resemble a NFT set up but has a flood and drain element in it, that is when I started experimenting with the gutter growbed few years back. Above in 2010 was my first attempt of a gutter system, the siphon use at the time is a downward loop siphon, and it doesn't work that well. 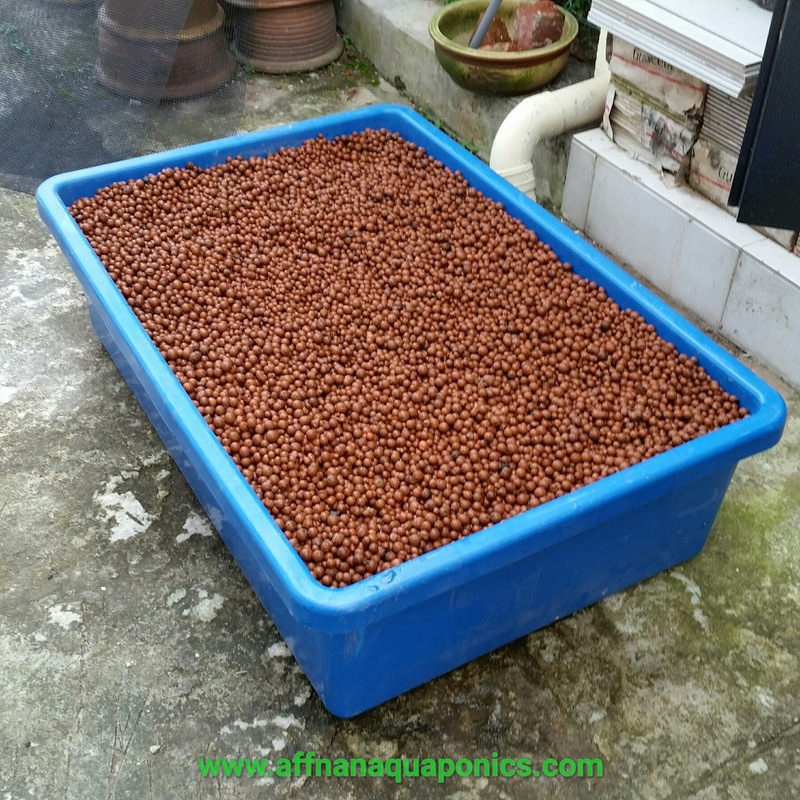 As in the photo pebbles was use and most of the time it function as a media filled DWC which has limited plant type to be grown. In order to get a good flood and drain, the siphon must work ! The problem with siphon is the smaller it is the more difficult to get it right. My 20 mm siphon is too big for gutter setup I had to design something smaller. It was my daughter that asked me to make something for her "Show And Tell" she asked me to make a micro Aquaponics set that demonstrate the concept of Aquaponics. To make a micro set requires a micro siphon. That when I make the smallest siphon that I currently use, takes about 2 weeks for me to figure out the design proportion and further few weeks to test the proof of concept. 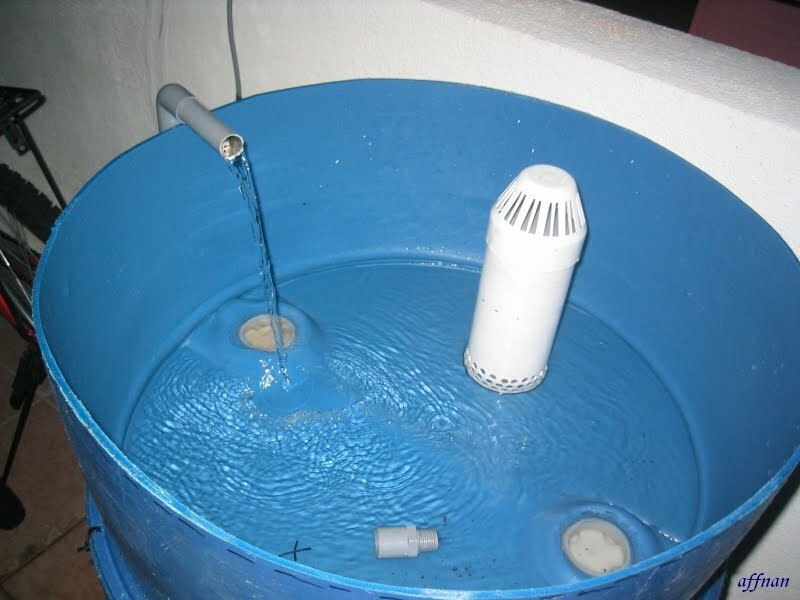 15 mm siphon is actually not new to me, it was the size of the first siphon that I made for my initial Aquaponics set, at the time I was very new to Aquaponics and the siphon is just a straight standpipe with enclosure to create the siphoning. Obviously it is not a reliable siphon at the time. But instead of pursuing the 15mm siphon I took the 25mm route to make a big siphon and improve upon the design until it is what it is today. I tried the 15mm siphon on ornamental set for almost 2 years, being first make it debut in early 2014 and many test done using the 15 mm siphon that works beautifully. 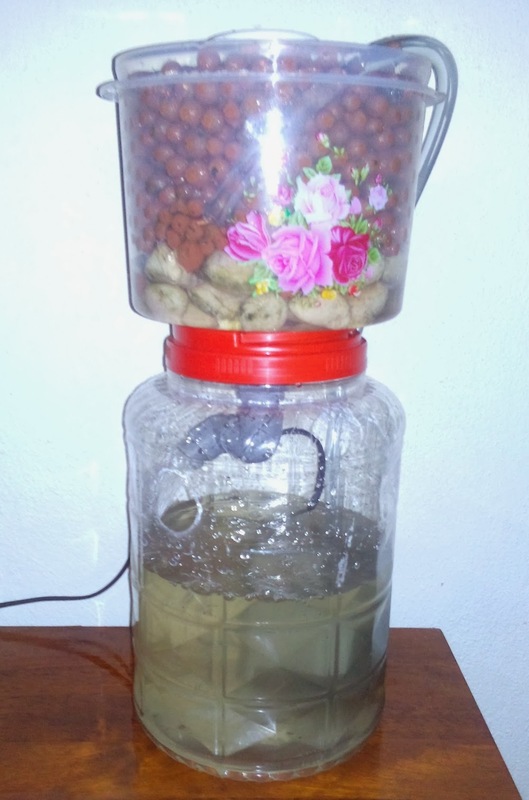 After extensive testing, only then I am satisfied that now I can use the smallest siphon to run an Aquaponics set that is easy and cheap to make. 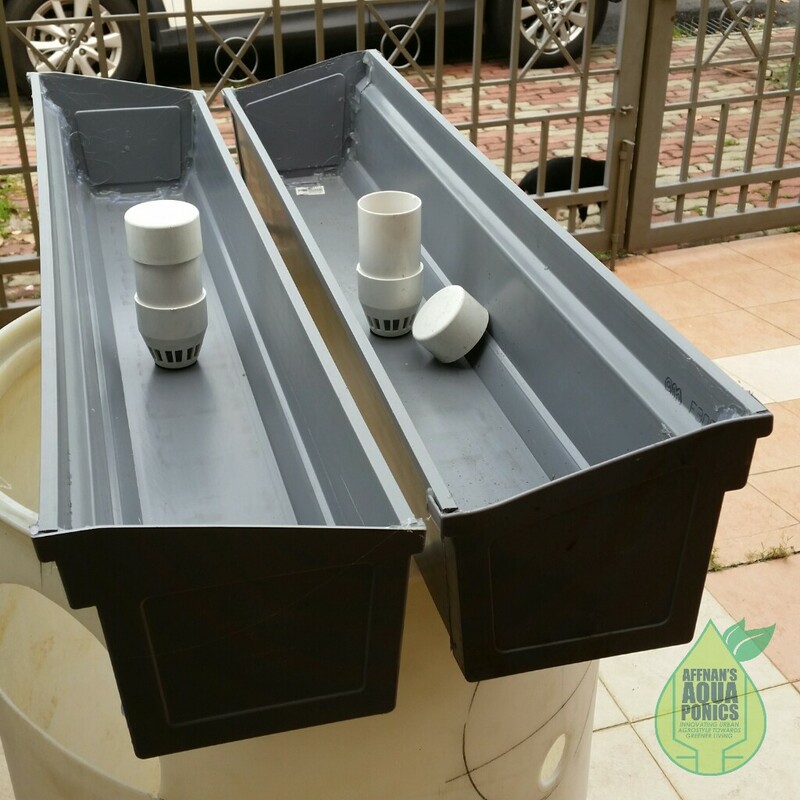 This is when I started to make the #guttergrowbed system and to make it easier I didn't put the LECA directly into the growbed but uses pots to make it easier to handle. 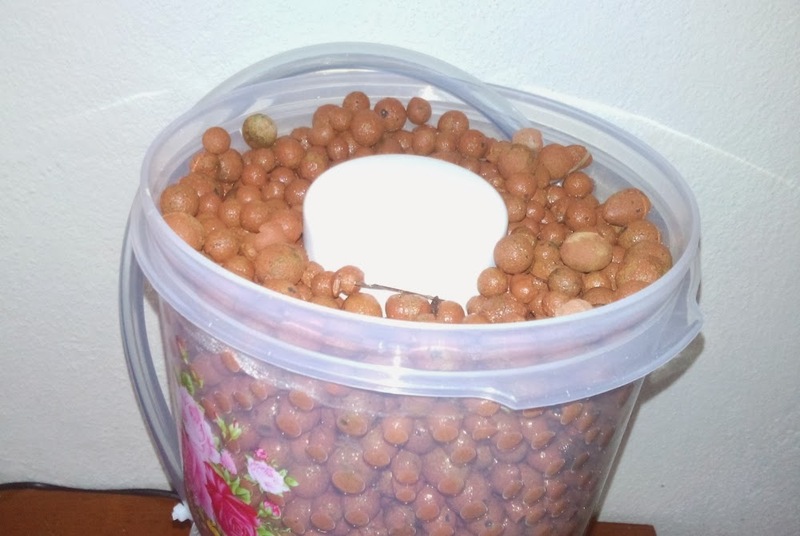 I was worry that the potted setup do not has enough surface area for effective biological nutrification processes, but it does do well it the initial test. It is obvious the #guttergrowbed setup is not for large plants, but for commercial intent it is viable to have crop of smaller plants and leafy vegetable at a lower cost of setup. So finally, the traditional growbed has to go and make room for #guttergrowbed at my back lane set. These 4 gutters is 4 meter in length each replacing my 4 traditional growbed, trials shows that it uses only 1/5 the LECA for the same area and 1/3 the electricity to run it. This is possible due plants are in pots and siphon is smaller. So this next few weeks I'll be busy with this retrofit and I hope it does work on a larger scale setup. 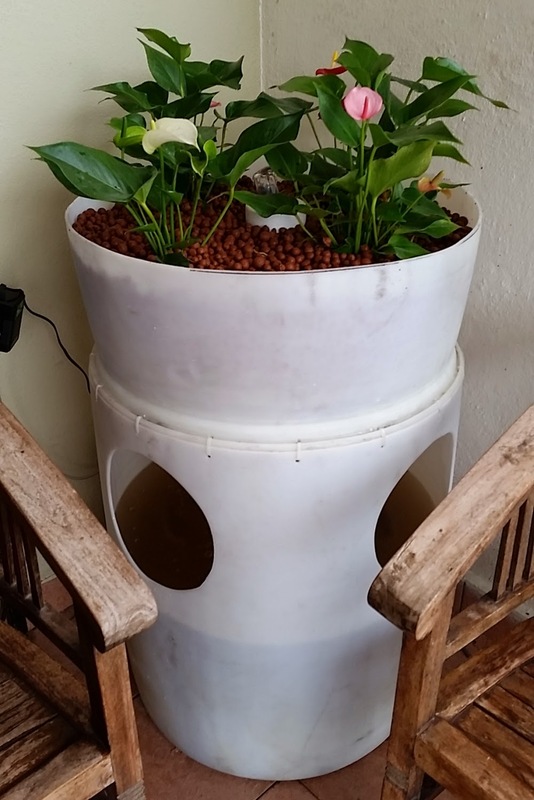 The design and how to will be made freely available here as my contribution to the Aquaponics community. The final part would be going off grid, which is easily achieve due to the low power requirement of this set up. For the 4 #guttergrowbeds it only consumes 30 watt of electricity total. I would like to know what is the width and the height of the gutter you use.? I just set up a set like the ornamental set you showed using 20mm siphon ..still testing . Now contemplating to set up the gutter system . Need to know the dimension of the gutter.. This is the standard rain gutter about 4.5" inches on the base and 6.5" inches on the top end. You can easily get it from hardware store if need to test out. But most shop sell the 6 mtr or 20ft gutter. I need 13ft or 14ft growbed so the 4 meter gutter is just nice. I do not want to cut the 6 meter gutter to length because the cut usually will not be straight and problematic to get a good seal. 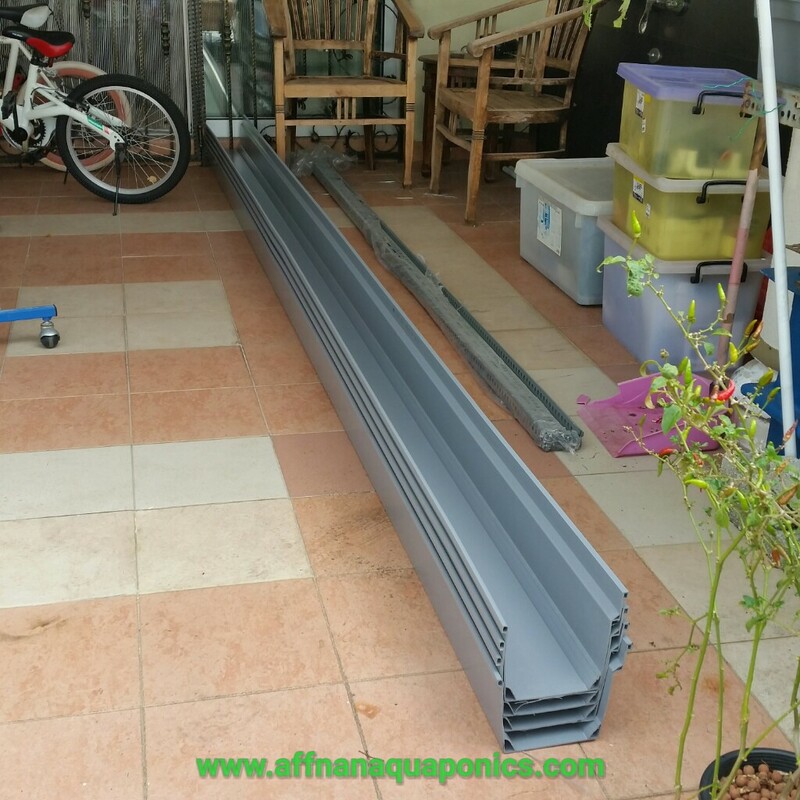 Note : Not many place sell 4 meter length gutter most do the 6 meter. Hi En Affan. Is it possible to visit ur place? 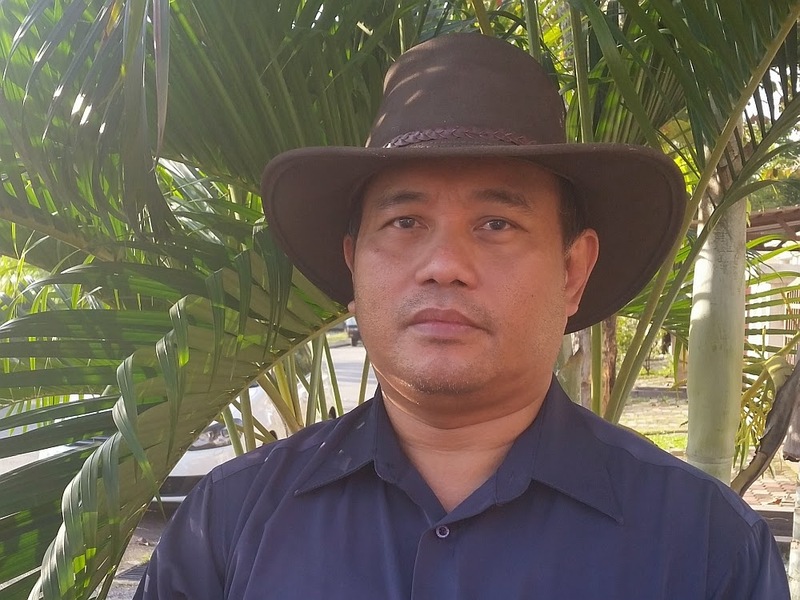 My uncle is v interested in aquaponies n extremely won-over when I shared ur blog. Tx & Congrats tak terhingga! Sure no problem, I am always try my best to help others. Do send me email of your intent. My email is below my picture on the top right. Where do I buy the Dickson frame or Franken frame from in Malaysia. Selangor?